The purpose of this commission was to calculate the accessible area of the Trap Grounds in Oxford. 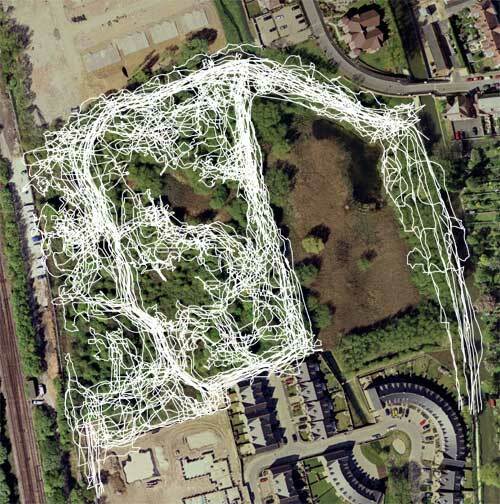 A map was produced by walking around the six acre site with hand-held GPS receivers. acquisition lines and inconsistencies that are inherent to the technology. were turned and under the densest tree cover.